If you think the only benefit to a company collecting art is that it put some color on the otherwise white walls, it’s time to reevaluate. Whether it’s impressing clients or connecting with the community, an art collection can do so much more for your business than meets the eye. And, it’s never too late to get started. Artwork can influence workers in a remarkable way. 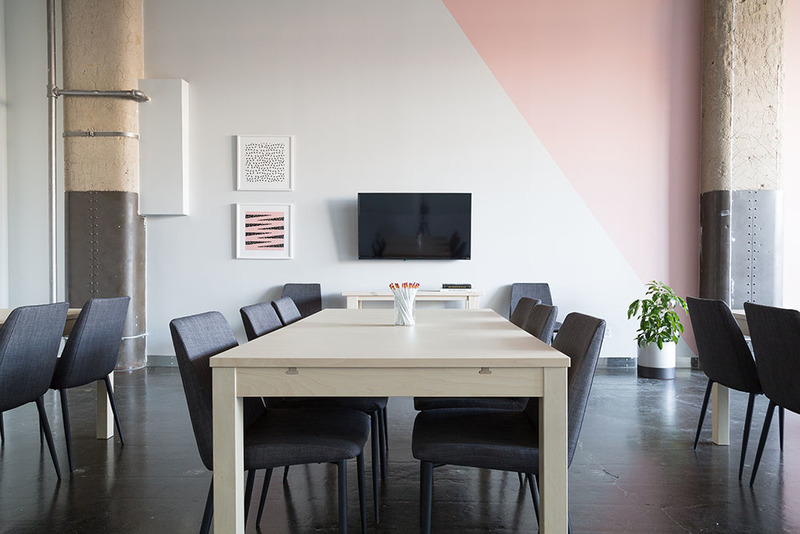 Simply by hanging it in the office, the aesthetic value of art can boost creative thinking and reinvigorate employees throughout the workday. Artwork can even reflect a standard of creativity or innovation that workers should strive for. And, who doesn’t want more productive and inspired employees? Artwork doesn’t just benefit employees. Its powerful reach can extend all the way to customers, potential clients, and stakeholders. Having a corporate art collection on-site can reflect the success of your company in an unspoken way. It can boast a level of sophistication, legitimacy, innovation, or modernity about your brand in an instant — all of which your clients will be excited about and impressed by. When your company collects art, you are providing important support for emerging artists in your community. This type of philanthropy is yet another way to enhance your brand image, demonstrating that your company takes its social responsibility seriously. The value of the art market has increased by 154% since 2003 to nearly $66 billion according to Forbes, and it doesn’t appear to be slowing down anytime soon. And, while this doesn’t necessarily mean art collecting is a sure thing, it can be a valid investment if done the right way. It’s true — today’s world revolves around who you know. And, the art world is filled with many key players who may have connections that could benefit your company. A potential customer may recognize the artist from one of your pieces, or an art advisor could introduce you to another corporate client. You never know who you will connect with, but one thing’s for certain: the more people you know in the community, the better. From setting the right tone for your brand to improving relationships with your employees, potential clients, and the community, a corporate art collection can do wonders for your business. Learn what you need to know about starting a great art collection here. Everyday ways to spark a lifelong passion for the arts. Victim of Art Theft? Do These 5 Things. When a piece of your art collection has been stolen, here are the things you should do.